Pushcarts mural on Marshall Street, between Poplar and Girard. Depicts street vendors and people shopping. 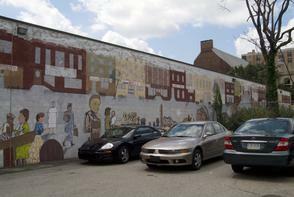 Cars parked in front of mural.